We were extremely proud to be awarded Best Wedding Caterer for the South West in 'The 2012 Wedding Industry Awards' and shortlisted for 2013. The Wedding Industry Awards ensure that there is now a credible and reliable independent National awards process and event. These are the only client-voted national awards in the wedding industry and their judging panel is second to none in its breadth and depth of experience. We understand that when you are organising a wedding and are confronted with a long list of potential caterers it can be daunting. 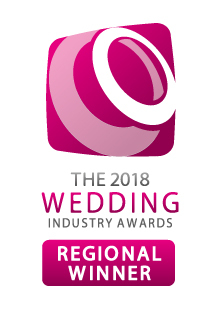 With the Wedding Industry Awards you can make your decision on what our previous couples and the expert industry judges have said about us, rather than take our word for it. The 2014 awards open very shortly so watch this space for further details as we could be calling on you for votes.